How To Watch Italian Serie A 2018-19 Season Live Online ? Italian Serie A 2018-19 season will begin on the weekend of 18-19 August 2018 and Italian FA has ensured extensive broadcasting rights worldwide both on TV and online networks. Italian Serie A is widely regarded as one of the most tactical league of the top 5 in Europe and with Serie A teams on the rise again we can expect a thrilling upcoming season. 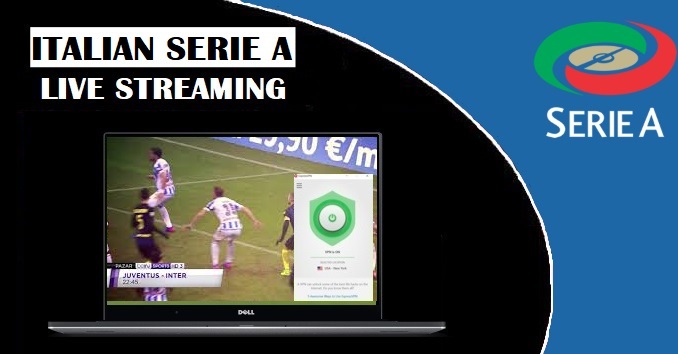 We walk you through how you can watch Italian Serie A live online from anywhere in the world. How To Watch Italian Serie A 2018-19 Season Live Online Worldwide: Just like the other top league, Serie A have sold broadcasting rights in almost all regions across the world. Since sports broadcasting is slowly moving away from traditional TV to online sources, many Online networks around the world have bought the rights for Serie A. On this page we walk you through how you can access all 380 Italian Serie A game this season online from official sources at a very cheap price. There are several online networks who have bought the rights for Italian Serie A 2018-19 season. Which is a good news for Serie A fans across the globe who are looking for official sources streams to watch the games online. However all these networks are GEO blocked (for example UK’s ElevenSports network is only accessible with UK ip address). But that can be solved by simple yet the most important step which is buying an VPN account. VPN not only allow you maximum privacy online but it helps you to get any country’s IP address helping you to pretend you are in that country. Eleven Sports UK Italian Serie A Live Online Coverage: ElevenSports has bought the rights for both La Liga and Italian Serie A in the UK and they will be broadcasting all 380 games from both leagues this season. They have two online packages for UK viewers with £5.99 per month or £49.95 yearly package. However to access ElevenSports coverage from outside the UK you would need an VPN account. we have put together a simple guide on how you can setup both VPN and ElevenSports account from anywhere in the world and sort you live coverage for both LA Liga and Serie A next season. There are several top quality VPN providers available but when it comes to online streaming and maximum security online we find ExpressVPN as the best. Their smart play technology helps in high speed streaming without compromising your internet speed. 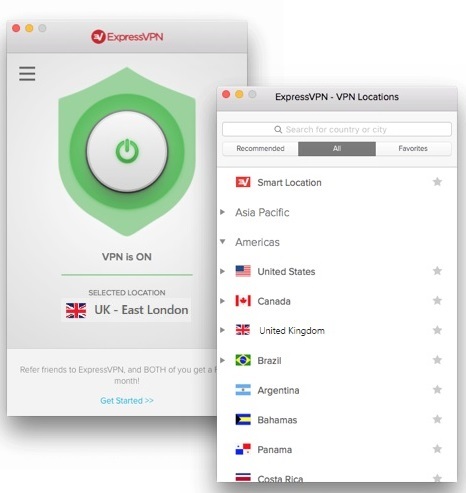 ExpressVPN (Recommended): ExpressVPN is pioneer in VPN services and have been around since 2009. They are currently offering 49% discount for limited time (Only till 31st August). If you buy yearly package you also get three free months making it 15 months at a very good price. Which means you can watch all major sports live online throughout 2018 and 2019. Connect to UK Server by selecting any of the 6 available uk servers in ExpressVPN app. Once connected to UK server visit Elevensports.com and signup for an account. Congratulations, now you have access to all Italian Serie A games throughout 2018-19 season. We find elevensports is the best legal option to watch Italian Serie A live online from anywhere in the world. However if you prefer other country network coverage you can choose similar service in Canada with DAZN or beIN Sports US via fuboTV. Below is the list of networks broadcasting Italian Serie A live online and accessible via VPN.